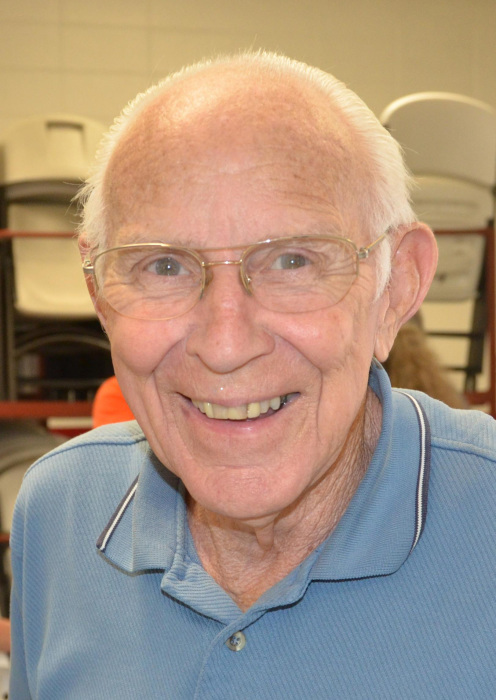 Rogersville: James E. "Jim" Stapleton, age 83 of Rogersville, passed away, Sunday, January 13, 2019 at Bristol Regional Medical Center. He was a member of Spires Chapel Baptist Church. Mr. Stapleton was a veteran having served in the U.S. Army. He was preceded in death by his wife, Carolyn Sue Brummitt Stapleton; parents, James Brownlow and Pearl Mae Davis Stapleton; brother, Robert "Bob" Stapleton; brothers-in-law, Paul Cody and Dee Cook; special friend, Ted Dufrane. He is survived by his daughters, Martha Lea Stapleton of the home and Susan Cornell and husband, Andy of Nashville; son, Craig Stapleton and girlfriend, Christy Portrum of Rogersville; grandchildren, James Brett Stapleton of Morristown and Clara Abigail Cornell of Nashville; sisters, Lillian Ruth Cody of Kingsport and Mary Elizabeth Cook of Rogersville; brother, Thomas P. Stapleton of Rogersville; sister-in-law, Faye Stapleton of Church Hill; special friends, George and Elocile Uran, Bob and Sylvia Sabo, Faith Dufrane, Lynn and Janice Collins and the Hardees Breakfast Group; several nieces and nephews. Visitation hours will be 5:00 P.M. to 7:00 P.M., Wednesday, January 16, 2019 at Broome Funeral Home, Rogersville. Funeral service will be conducted 7:00 P.M., Wednesday, January 16, 2019 in the funeral home chapel with Rev. John North and Rev. Bobby Joe Hancock officiating. The eulogy will be delivered by Craig Stapleton. Graveside service will be 11:00 A.M., Thursday, January 17, 2019 at Hawkins County Memorial Gardens with military honors provided by the Hawkins County Color Guard and Tennessee Army National Guard. Broome Funeral Home, Rogersville is honored to serve the Stapleton family.